During my Interrailing trip I saw a fair few cities; seven to be precise! Trying to plan what to do in each of these was quite hard work. Unfortunately, because of this Ljubljana got a bit lost in the mix. We visited in the middle of our trip. I wasn't particularly excited to visit the city. However, while it didn't become one of the highlights of my trip I was surprised at what the city had to offer and really enjoyed the two days we spent there. We had two days to explore Ljubljana. We hadn't done much planning, as I said Ljubljana was towards the middle of my trip and while I'd done plenty of Instagram stalking for places like Lake Bled, Ljubljana had taken a back seat. Luckily, the hostel we were staying in (C Punkt Hostel) had plenty of leaflets which helped us plan things to do. The more time I spent in Ljubljana the more I enjoyed and appreciated the city. We managed to fit quite a lot into our two days and I thought I'd share my favourite things to do for anyone thinking about visiting. 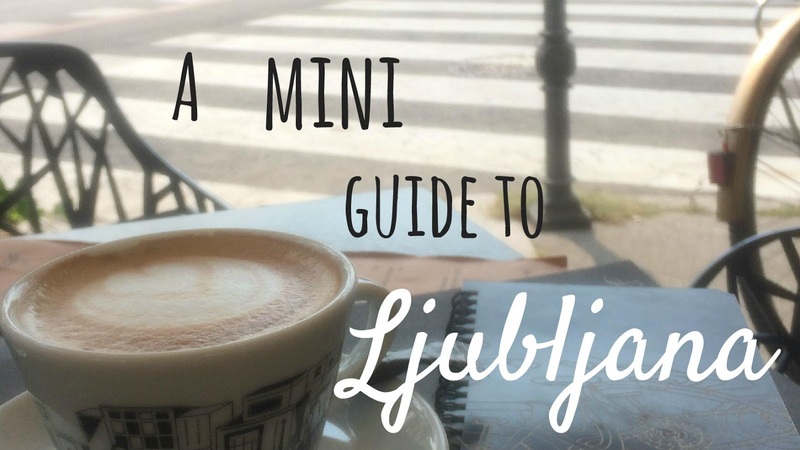 Or maybe, if you're not this post will make you add Ljubljana to your travel list! I'm going to be completely honest and say that the Ljubljana castle was not the prettiest or nicest castle I've visited. But it's still worth walking up to it, even if it's just to look out at the views. We didn't pay to go into the castle but were still able to walk around the grounds and some areas. It reminded me of somewhere you visit on a school trip and because we were trying to save a bit of money we personally didn't want to pay to enter. There are various paths up to the castle, we went up one and down another. It takes around 10 minutes to get up there and the paths are easy enough to navigate. The one we took on the way up had better views such as the one in the picture below. Access to this path is in the Old Town near the Stari Trg (Old square) while the one we took back down led to the Central Market. As with most cities there are plenty of walking tours to choose from. We chose to do a less traditional one and opted for the graffiti one instead. It was really interesting and I actually paid attention and didn't get bored. 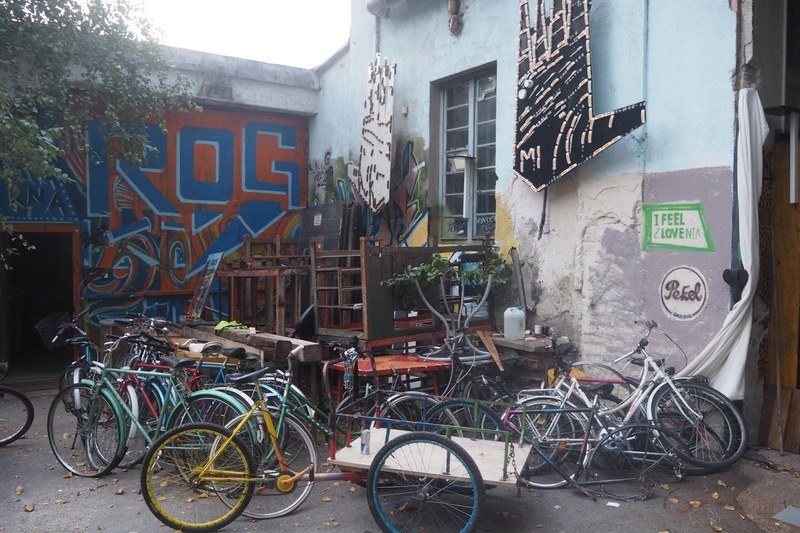 It was a great way to see the city and explore it's more unusual areas such as the Metelkova Mesto which is an urban squat and a great place for nightlife. We didn't manage to visit it at night but we stayed after the graffiti tour to explore. Ljubjan Old Town is incredibly pretty. I remember my first sighting of it was a big pink building which I found out later was the Franciscan church. This was located in Preseren Square. There are lots of cute shops and restaurants in this area. 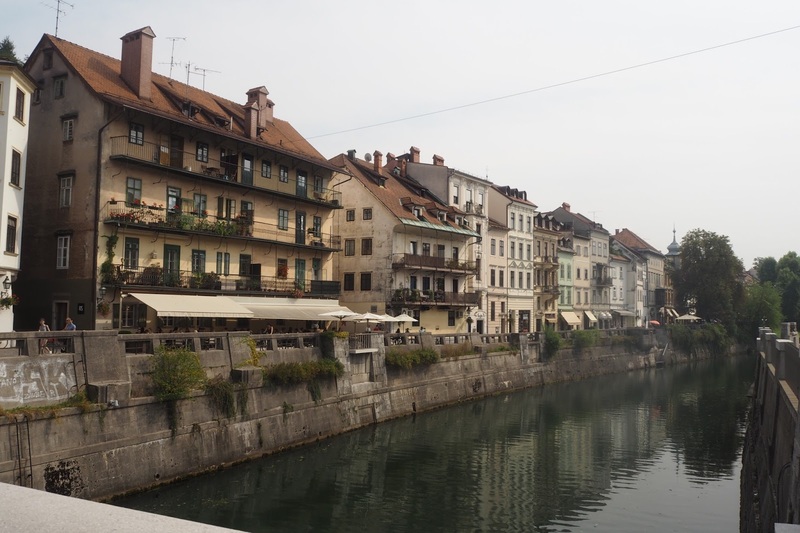 A lot of the restaurants overlook the Ljubljanica which is the river that runs through the city. Such restaurants are a great place to go in the evening. There are also quite a few bars along the riverbanks. If you fancy escaping the city and heading off somewhere even more fairytale then take a day trip to Lake Bled. Or do what I did and spend a couple of nights there. Either way a visit to Lake Bled is a must! It takes around 3 hours on the train depending on which stop you get off at. Or you can catch the bus. Or if you want less do it yourself then there are plenty of organised tours, less so in the winter months, to Bled. It completely depends how much freedom you want on your day trip. We saw quite a few coaches come into Bled. I would personally recommend spending a few days there because it is so stunning but if you're short on time then make sure you fit in a day trip whilst in Ljubljana. I seem to be very bad at this part of my guides. I eat plenty of food on my trips I just always forget to make a note of the name of the places I eat. Bad blogger right here. We were only in Ljubljana for a short time so didn't have that much time to try lots of different places but I did note down (ahem try and remember the names and have to look them up on tripadvisor) of some of the places we ate. This is a slightly strange restaurant in the sense that it seems to serve both Mexican food and crepes. Which, personally, I'm all for as we doesn't love a good burrito or crepe but it is also a tad of a strange combination. I ate here twice, once to eat the Mexican food and once to eat a crepe. I didn't purposely choose to eat the two on separate occasions but I was too stuffed the first time to fully appreciate the crepe so we returned for dinner to try them out. And of course, while you're travelling a crepe is a completely acceptable dinner. I had the snickers one which was amazing. It had peanut butter, chocolate and crushed biscuit in it and no crepe I've had since has quite lived up to this one. If you want to try something more traditional then head to Klobasarna for some Slovenian sausage. This ones definitely not for vegetarians. 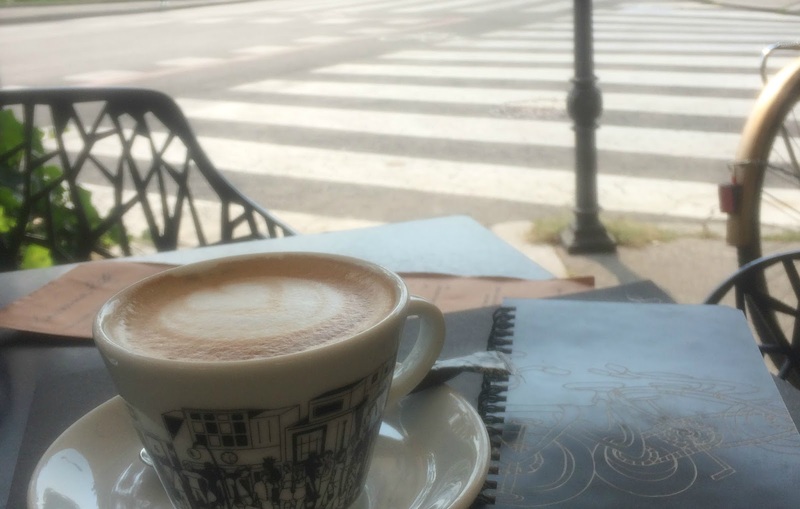 It's a very small cafe with a few seats inside and more outside. There are only a few things on the menu, all of which are centred around sausage. We decided to share some sausage which comes with a bread roll and mustard. I think it was around €4.50 which is not the cheapest but sharing saved us some money. It was also very filling, we just needed something to keep us full until our train to Lake Bled and this did the job. On the other end of the spectrum is the Organic Garden which is also a small cafe along the same street as Klobasarna. However, this one is definitely more veggie/ vegan friendly. In fact, most of the menu was vegan including the burgers. I think they also offer a fish version of the burger but we tried one of the vegan ones and it was really good! It came in a bright red bun which was a little off putting but it tasted amazing! Not that cheap but if you're looking for somewhere with good veggie options or fancy something a bit healthier then definitely give it a go. This restaurant is not in the old town centre but nearer the student area and a few minutes walk from our hostel. We ate here both mornings of our stay before heading into the main town area. I've included it incase anyone is staying in a similar area to us. 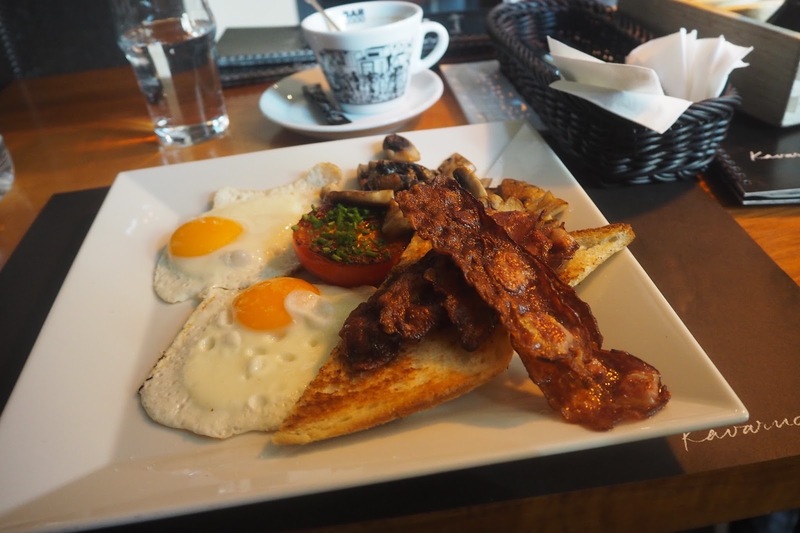 It offers a decent breakfast and the coffee is good. The service was a bit slow but it was pretty busy both times we visited. There's a nice outside seating area to enjoy your food and people watch. Take a day trip to Lake Bled! 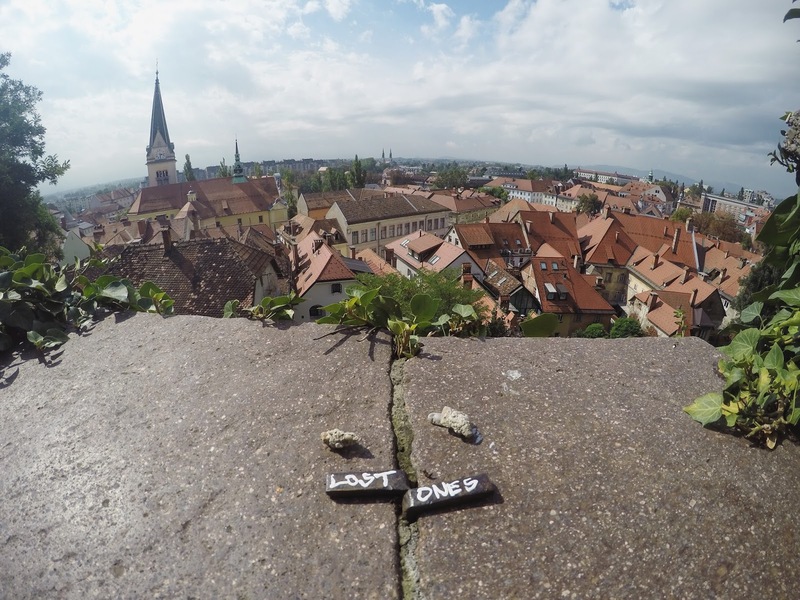 Have you visited Ljubljana, what did you think about the city?